Orbel Nazarians, a 22-year-old white man, was shot and killed by Los Angeles police on Monday, Feb. 26, in the 9000 block of Kester Avenue in Panorama City, according to Los Angeles County coroner’s records. Officers from LAPD’s Mission Division responded at 8:45 a.m. to a call about a man with a knife who wanted to kill himself, according to a news release from the department. When officers arrived, they saw Nazarians, who exited a home with an “edged weapon,” said Officer Norma Eisenman, a spokeswoman for the LAPD. Police tried to subdue Nazarians with a Taser and a bean-bag shotgun, but ultimately fatally shot the man, Eisenman said. Nazarians was pronounced dead at the scene at 9:08 a.m., according to coroner’s records. Oscar Rene Molina, a 34-year-old Latino male, died Saturday, Feb. 10, after being shot in Panorama City, according to Los Angeles County coroner's records. Jessica Torres, a 21-year-old Latina, died Saturday, Feb. 3, two days after she was shot in the 7800 block of Van Nuys Boulevard in Panorama City, according to Los Angeles County coroner’s records. About 2:30 a.m. on Feb. 1, Torres was driving north on Van Nuys Boulevard in a gray Ford Fusion with two others when a vehicle pulled alongside the car, said Los Angeles Police Det. Richard Moakley. A person began shooting from the other vehicle, and Torres was struck, Moakley said. The vehicle continued north on Van Nuys Boulevard. Torres, who had been shot in the head, was taken to a hospital, and she was pronounced dead at 2:44 p.m. Feb. 3, according to coroner’s records. James Gustavo Rodriguez, a 29-year-old Latino, was shot and killed Friday, Dec. 15, in the 8500 block of Van Nuys Boulevard in Panorama City, according to Los Angeles Police homicide investigators. Shortly after 3 a.m., Rodriguez, a resident of Panorama City, was sitting on a bus stop bench with another Panorama City resident, Elvis Sanchez, 31, when someone began shooting, said LAPD Valley Bureau Homicide Det. Dave Peteque. Both men were struck by gunfire. “They had their little music players out, and they were just sitting on the bench at 3 in the morning on Van Nuys Boulevard,” Peteque said. The bench is in front of a Denny’s restaurant, where the men had gone earlier to use the restroom, Peteque said. A waitress and a couple of customers heard the gunfire, he said, but no one has reported seeing the shooting. Elvis Sanchez, a 31-year-old Latino, was shot and killed Friday, Dec. 15, in the 8500 block of Van Nuys Boulevard in Panorama City, according to Los Angeles Police homicide investigators. Shortly after 3 a.m., Sanchez, a resident of Panorama City, was sitting on a bus stop bench with another Panorama City resident, James Gustavo Rodriguez, 29, when someone began shooting, said LAPD Valley Bureau Homicide Det. Dave Peteque. Both men were struck by gunfire. Roberto De La Cruz Jr., a 33-year-old Latino, was shot and killed Tuesday, Dec. 5, in the 8800 block of Kester Avenue in Panorama City, according to Los Angeles County coroner’s records. About 12:35 p.m., patrol officers from the LAPD’s Mission Division responded to a call of shots fired near the Sepulveda Recreation Center, according to a news release from the department. When officers arrived, they found De La Cruz in a grassy area with multiple gunshot wounds, according to the release. De La Cruz was pronounced dead at the scene at 12:55 p.m., according to coroner’s records. Detectives are looking for additional witnesses to the shooting. Some in the area heard six shots, and at least one person saw three Latinos wearing dark clothing running away from the park to the west, officials said. Alexis Saldana, an 18-year-old Latino, died Saturday, Nov. 18, after he was shot in the 14600 block of Roscoe Boulevard in Van Nuys, according to Los Angeles County coroner’s records. The night before he died, Saldana was driving a four-door Cressida sedan with some friends when he pulled into the parking lot of a Wendy’s restaurant at 14645 Roscoe Blvd. around 10:50 p.m., LAPD Valley Homicide Det. Steve Castro said. A black SUV, possibly an Explorer, followed Saldana’s car into the lot and pulled up beside the Cressida, Castro said. Someone inside the SUV began shooting, Castro said, and Saldana was struck. “Saldana gunned his car and drove it right through the front of the restaurant, stopping at the front counter,” Castro said. Francisco Fuentes, a 27-year-old Latino, was shot and killed Wednesday, June 21, in the 7900 block of Van Nuys Boulevard in Van Nuys, according to Los Angeles County coroner’s records. About 3 p.m., officers responded to a shooting and found Fuentes on the ground next to a bicycle in the parking lot of a McDonald’s restaurant, according to a news release from the department. Fuentes, who had been shot, was taken to a hospital, where he was pronounced dead at 3:39 p.m., according to coroner’s records. Investigators believe Fuentes was riding his bike when he was shot. Police are looking for witnesses. Anyone with information is asked to call Det. Steve Castro at (818) 374-1925. Those who wish to remain anonymous can call Crime Stoppers at (800) 222-8477. Victor Garcia, a 25-year-old Latino male, died Friday, June 9, after being shot in Panorama City, according to Los Angeles County coroner's records. Cesar Galvez, a 22-year-old Latino, was shot and killed Saturday, March 4, in the 14600 block of Blythe Street in Panorama City, according to Los Angeles County coroner’s records. About 9 p.m., about 10 people were standing on a sidewalk when Galvez was shot, said Los Angeles Police Det. Rich Wheeler. Galvez was in the group and so was the shooter, but police are unsure about the motive, Wheeler said. Wheeler said there was not an argument before the shooting. Galvez was pronounced dead at the scene at 9 p.m., according to coroner’s records. Anyone with information is asked to call LAPD Valley homicide detectives at (818) 374-9550. Those who wish to remain anonymous can call Crime Stoppers at (800) 222-8477. Christian Geovani Andreani, a 33-year-old Latino, was shot and killed Thursday, Jan. 12, in the 9800 block of Vesper Avenue in Panorama City, according to Los Angeles County coroner’s records. Shortly before 2 p.m., officers from the LAPD’s Mission Division were called about a shooting and found a wounded Andreani on the ground, according to a news release from the department. Andreani was pronounced dead at the scene at 3:10 p.m., according to coroner’s records. Police believe Andreani was outside of his apartment working on a bike when a person on a bike approached him, LAPD Det. Dave Peteque said. They talked briefly, then the other man pulled out a gun and shot Andreani, Peteque said. It’s unclear what was said during the conversation. Eduardo Morales, a 20-year-old Latino, was found with stab wounds Thursday, Jan. 12, in the 8600 block of Cedros Avenue in Panorama City, according to Los Angeles County coroner’s records and police. About 7 p.m., a passerby found Morales with stab wounds on the sidewalk, said Los Angeles Police Det. Rich Wheeler. Morales was taken to a hospital where he was pronounced dead. Police are still trying to put together a description of a suspect. Anyone with information can call LAPD Valley Bureau detectives at (818) 374-9550. Those who wish to remain anonymous can call Crime Stoppers at (800) 222-8477. Jesus Alejandro Benitez Jaimes, a 24-year-old Latino male, died Sunday, Aug. 14, after being shot in Panorama City, according to Los Angeles County coroner's records. 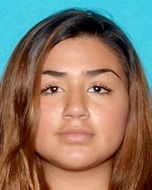 Stephanie Gonzalez, a 17-year-old Latina, was shot and killed Saturday, June 11, in the 8500 block of Cedros Avenue in Panorama City, according to Los Angeles County coroner’s records. Shortly after 7:30 p.m., Gonzalez and her 13-year-old sister, Kimberly Gonzalez, were found with gunshot wounds in an apartment, said Los Angeles Police Det. Richard Wheeler. The assailant, who is the ex-boyfriend of the girls’ mother, was also found with a gunshot wound to the chest. The teenagers' mother had broken up with the 46-year-old man about a month ago, and that evening, he showed up to the apartment. He and the girls' mother got into an argument, and the man shot his ex-girlfriend in the stomach, police said. The woman’s 20-year-old son intervened, and the man shot at him, grazing his back, Wheeler said. The son ran out of the apartment to get help.